Home Alkaline Foods Top 10 Alkaline Foods List for a Healthy Diet! Top 10 Alkaline Foods List for a Healthy Diet! You must understand that every food digested in the body becomes alkaline or acid ash. This diet, also known as ph balance diet, is about consuming a large amount of alkaline forming foods. Hence, your diet must be basically eating alkaline foods. To add that, drink alkaline water to improve your pH balance and generally optimize your health. What happens if you do not eat enough foods that produce alkaline ash? Over-acidity happens when the body has consumed more acid than alkaline. This affects the body’s pH level, which jeopardizes health. It can make the body more vulnerable to certain diseases and infections, which include cardiovascular disease, diabetes, and cancers. Leafy green vegetables are expected to contain lots of vitamins, minerals, antioxidants, and phytochemicals. This is a fact, and among those greens that are rich in alkaline are spinach and kale. Spinach has a total pH of 9.0, while kale is 6.4 when uncooked and 6.8 when cooked. 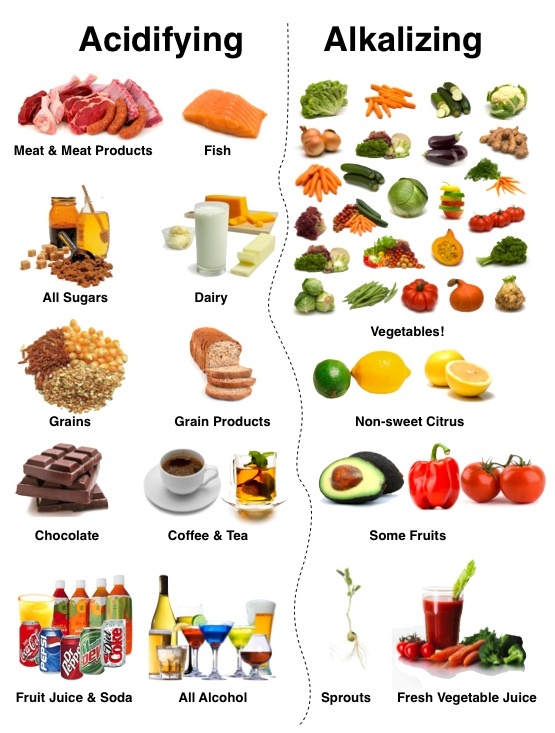 Both are alkalinizing, although they have different volume of vitamins and minerals. Spinach contains vitamin K and folate for the most part, but also has vitamin A, vitamin B2, vitamin C, vitamin E, calcium, fiber, iron, magnesium, manganese, and potassium. All these can help improve digestion and vision. Other than that, this is rich in chlorophyll, which can help build red blood cells. Whether you mix in raw green salad or cook to add to your favorite dishes, spinach is an alkaline food you must eat more frequently. This veggie is one of the easiest foods you can prepare. Kale is known to fight cancers, lower bad cholesterols, and detoxify the body. It consists of many antioxidants that are cancer-fighting compounds. These include glucosinolates, and can be instantly absorbed once the food is digested. The overall vitamins and minerals content of this type of leafy greens include vitamin A, vitamin C, vitamin K, calcium, fiber, iron, manganese, magnesium, and omega 3. Broccoli is not only considered among the healthiest foods on the planet, but also high in alkaline. Results that you can enjoy are more energy and vitality, improved digestion, cancer prevention, and detoxification. Other than the usual vitamins and minerals it contains, broccoli has anti-inflammatory properties. As part of the alkaline based foods, broccoli must be eaten as often as possible. You can make many dishes from soups to salads, and smoothies using this vegetable. Another great choice from the alkaline foods list based on its pH is avocado. This is a good ingredient to many snacks and meals. You can scoop some and blend to make juices or smoothie. You can also chop into small cubes or mash them as fillings for your sandwich. Not to mention, guacamole and salsa are not complete without this fruit. Avocado contains good fats, which include omega 9 fat. This helps lower bad cholesterols in the body, while raises the levels of high-density lipoproteins or good cholesterols. In the long run, it helps prevent the development of heart disease, as it builds the production of more antioxidants in the body. There are also anti-inflammatory properties found in this amazing fruit. The vitamins and minerals included are vitamin B5, vitamin B6, vitamin C, vitamin K, fiber, folate, and potassium. Cucumber is one of the rare foods that have high water content. Can you believe that there is 95% water in it? That makes it a good way to combat dehydration. 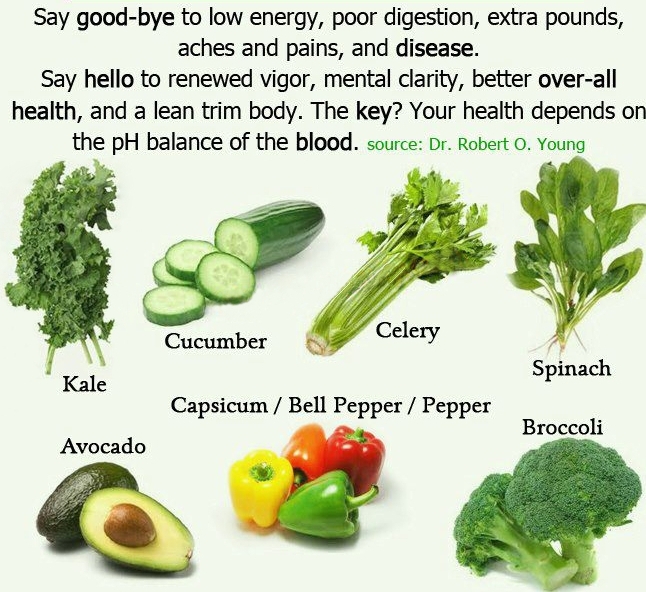 You can also revitalize your energy whether you eat slices or drink its blended juice. It may not be as alkaline water, but still good and definitely recommended to drink. There are antioxidants found in cucumber. Most of them are lignans, which are responsible in reducing the risk of certain illnesses. They can help prevent different types of cancers and cardiovascular disease. The vitamins this fruit possesses are vitamin A, vitamin C, vitamin K, and B vitamins. For minerals, it consists of calcium, copper, iron, manganese, magnesium, phosphorus, potassium, selenium, and zinc. One of the alkaline foods that are surprisingly high in pH value is asparagus. It has 8.5 pH, which is recommended to take if you are acidic. This helps quicken the process of combating acidity. Experts suggest cooking it to get all the nutrients from it. Apples are among the fruits that are nutritious. A single piece contains vitamins, minerals, and phytochemicals. All in all are helpful to protect the body by boosting the immune system and maintaining the pH balance. Its pH level is 8.0, while it’s a great source of fiber. Lemon is one of the fruits that are acidic in nature, but become alkaline after digestion. In fact, it has a high level of pH, 9.0. To add that, it is packed with vitamins, minerals, antioxidants, and electrolytes. There are also healing properties of this fruit, which is why it’s a good choice to use as natural cures against several health conditions. Watermelon also has 9.0 pH level. This makes it an alkaline food. Like cucumber, it is diuretic, which means there is a high percent of water. It is a delicious and refreshing fruit that cleanses the colon and detoxifies the entire body. Both papaya and mango are tropical fruits that are not only delicious, but also nutritional. They contain vitamins that are good for the skin. They are also diuretic in nature, so colon and kidneys are cleansed everytime you eat some slices of either fruit. They are undeniably appetizing to eat whether ripe or not. They make it on the list of alkaline foods because they have 8.5 pH. This is the term that refers to peppers, including bell pepper, cayenne, and jalapeño. All of them have a high pH level, 8.5, which is considered a high alkaline food. The health benefits of this food include anti-bacterial properties, free radicals prevention, and improvement of the endocrine system. Capsicums contain many antioxidants. There are flavonoids, carotenoids, and hydroxycinnamic acids. You can absorb all these upon digesting it, whether it’s raw or cooked. Good news is that you can include this ingredient to many favorite foods, such as pizza, salad, grilled dishes, and other baked and roasted meals. These fruits also have a high pH level (8.5). They are packed with vitamin A, vitamin B, vitamin C, antioxidants, and fiber. They both help lower blood pressure, regulate blood circulation, prevent cardiovascular disease, and maintain a healthy body weight. As stated previously, Alkaline Diet is about the consumption of foods that are high in alkaline. The main goal of this diet is to have more alkaline than acid. These ten foods are some of the alkaline foods you must eat, but they have higher pH level. 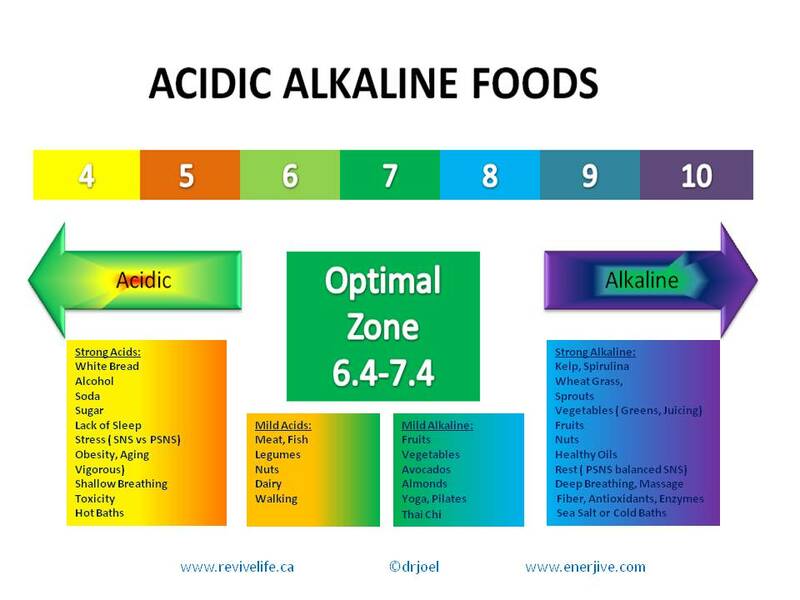 It is best that you have a list of other acid alkaline food chart in order to know what to eat more often. Trust me, you can make lots of alkaline food recipes with these foods. 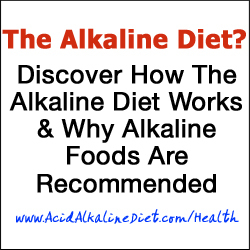 If you like to learn more about alkaline food diet, visit Acid Alkaline Diet. 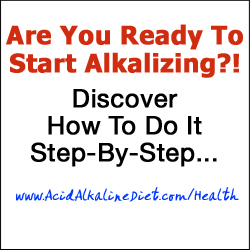 You can sign up for free tips and information about alkaline foods recipes and more! Next articleHealth Benefits of Alkaline Water that Will Amaze You!